Reverse osmosis systems from RainSoft incorporate reliable, state-of-the-art technology to improve the quality of household drinking water. With a premium RainSoft system like the innovative Ultrefiner II, you can enjoy refreshing drinking water – even better than that found in those crinkly, wasteful plastic bottles – any time at the mere turn of your kitchen tap. Indeed, because your drinking water will be purified right in your home as you need it, it will likely be much fresher and healthier than water that may have been sitting stagnant in a bottle on a store shelf for weeks, months, or even years. Household water pressure pushes the tap water through a pre-filter cartridge, which removes miniscule particles, chlorine tastes and odors, and other contaminants and impurities. The pre-filtered water is then squeezed through a spiral-wound, semi-permeable reverse osmosis membrane, where it is filtered on a molecular level. This same impressive technology is used in applications to desalinate sea water to make it safe for drinking. The highly filtered water is transferred to a storage tank and then forced through a post-filter before it is dispensed – fresh and clean – through the kitchen tap. 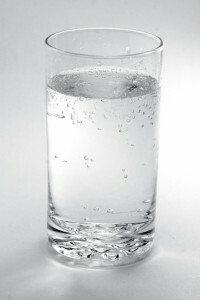 When you have one of our fine reverse osmosis systems installed, you can expect your drinking water to taste better. But that’s not all. Consider how often you use water to prepare food, beverages, and ice – almost EVERYTHING you eat and drink will taste better with a RainSoft drinking water system! What’s more, all RainSoft drinking water systems are Tested and Certified by the Water Quality Association (WQA). This confirms that our reverse osmosis systems meet or exceed strict standards relating to safety, structural integrity, durability, and the reduction of water contaminants. If you are interested in a high-quality drinking water system, contact an authorized RainSoft dealer near you. We’ve been taking the worry out of water since 1953, and we’ll be happy to provide more information on reverse osmosis systems for your home.